Any landscaping project can be a challenge. With all the work it takes to come up with a vision for your project, turn it into a concrete plan, and make the work itself happen, most people could use some help. These are some of the reasons people need to hire landscape contractors. 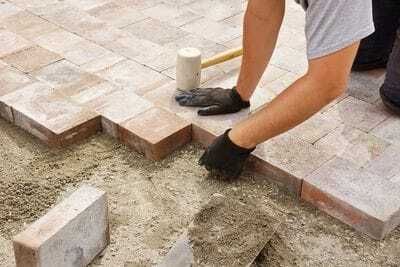 Trouble is, it can be difficult to find a reputable landscape contractor who will do quality work. You don't want to end up feeling like you've wasted your money, or even worse with real damage to your yard. We've even heard horror stories of "budget" contractors who brought in rude, unqualified workers, mistreated the customers, and created more problems that cost money to solve. The wrong contractor could even create a more serious headache through violating environmental codes or health and safety regulations. It's worth avoiding these bad experiences, and luckily it isn't too difficult. Taking the time to research and find a reputable contractor is a good use of time. But many people have trouble knowing what businesses are truly reputable and which are best avoided. Luckily, there are a few shortcuts to finding quality landscape contractors and making sure that your projects come to life in the best possible way. The best way to find quality landscape contractors is through LNA, the Association for landscapers in NSW and ACT. This group has existed since 1979 as a membership organization for landscape contractors with the highest quality, vision, and standards of excellence, and has set the bar for excellence in the industry. LNA members have to meet strict criteria, such as adherence to a code of ethics and fair business practices. They also have to be licensed to practice landscape construction, which means that they're briefed on all the relevant environmental and health and safety regulations they should be following. Members of the LNA also undergo ASIC checks to ensure financial viability no dodgy business practices allowed. With more than 300 member organizations and countless thousands of happy clients, LNA has been matching people with high-quality landscaping services for more than 35 years. Whether you're looking for a landscape contractor or a different service like landscape design, maintenance, suppliers, or more, you can find all those on the LNA "Find a Member" page. Just choose a category of services and type your postcode to find members in your area.